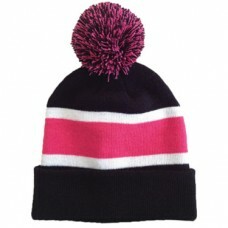 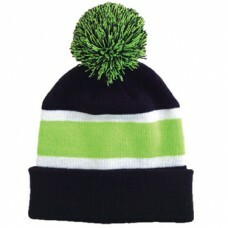 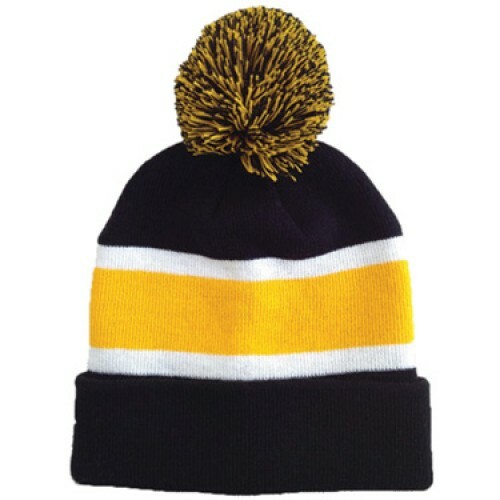 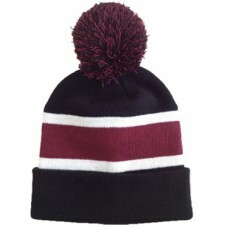 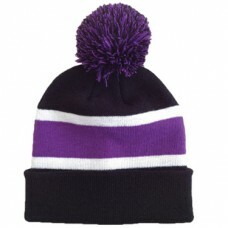 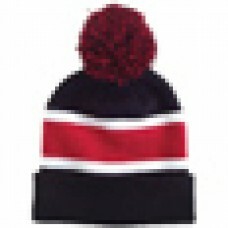 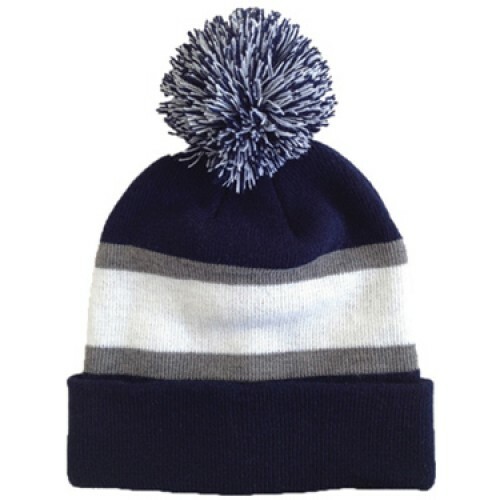 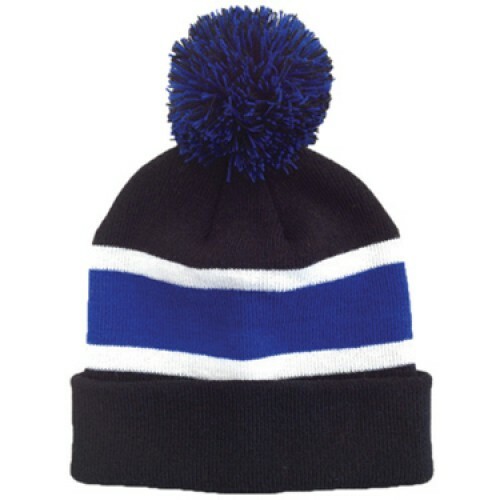 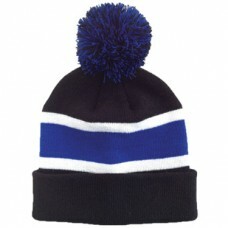 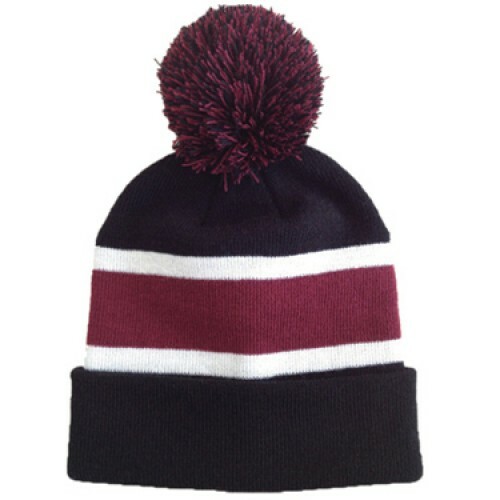 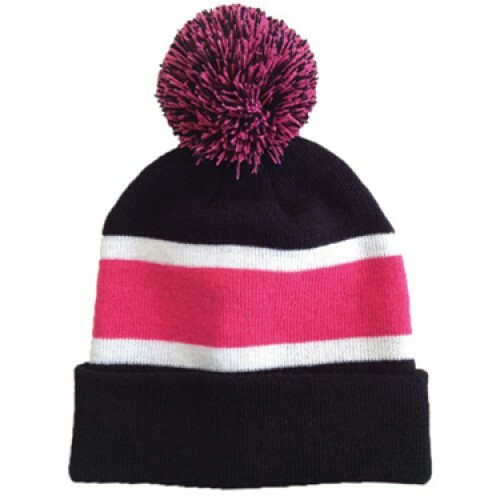 This cute striped beanie with Pom is approximately 11" long. 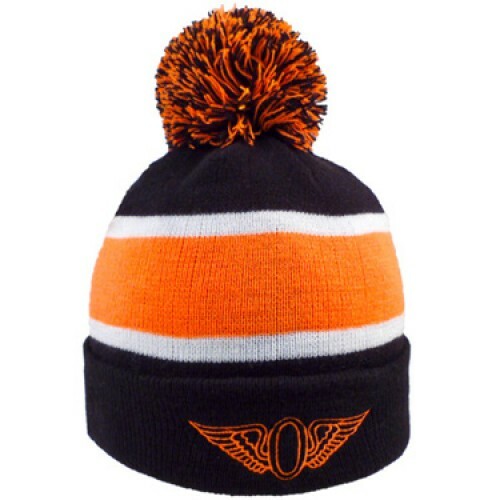 100% acrylic. 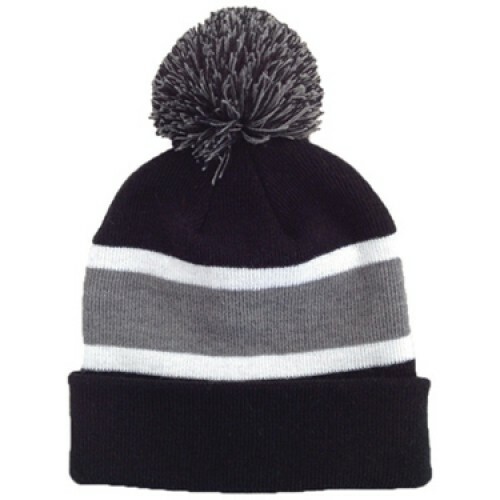 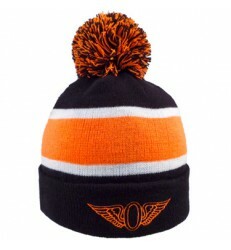 Keeps you warm on those cold winter days!